This long beach at the northern end of the island has a length of approximately 12 km of fine shingle beach and is about 10 – 15 minutes drive from Diodati Villas. It consists of 4 beaches (4 different names), but they are all located on the same strip. Beginning as Agios Giannis Beach which is dotted with tavernas and cafes. Further along is Mili Beach (windmill beach) with kite surfing facilities, a couple of cafes and a restaurant. On the northern point is Gyra Beach favored by the locals, forming a thin strip of sand that separates the Ionian Sea light blue waters and the dark blue lagoon of Lefkada that supports a unique ecology consisting of various forms of life. Gyra has got a small taverna right on the beach, sunbeds and a cafe. 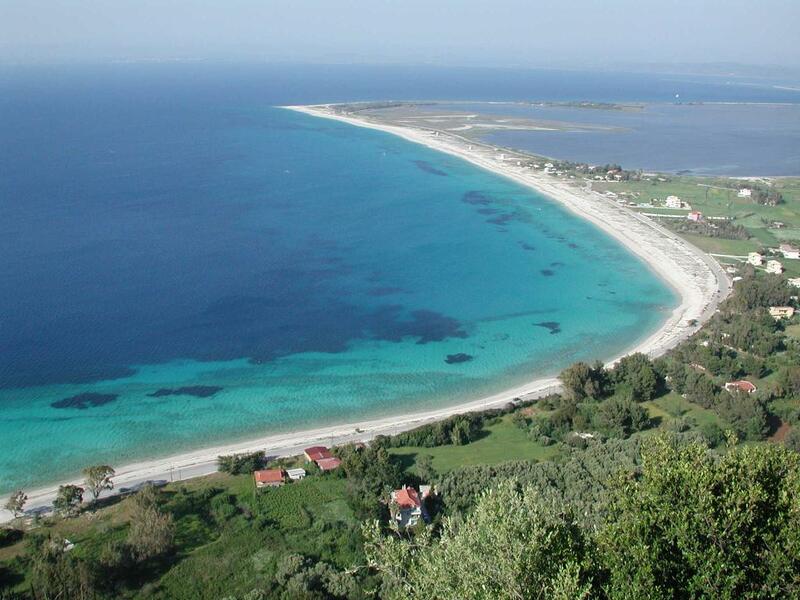 The stretch ends with Kastro Beach, completely virgin without any facilities. This stretch of beach is mostly very fine shingle and in some places sand and visitors can swim beside the old fortress at the entrance of Lefkada and observe the sailboats entering the island.